Ever since I travelled around NZ solo, I have wanted to rent one of those green and purple RV’S! They were everywhere in NZ when I visited eight years ago. At the time, I thought it would be epic to do it with friends. Little did I know, nearly a decade later, I would be taking one of these classics on an epic road trip through California with my newborn and three year old. 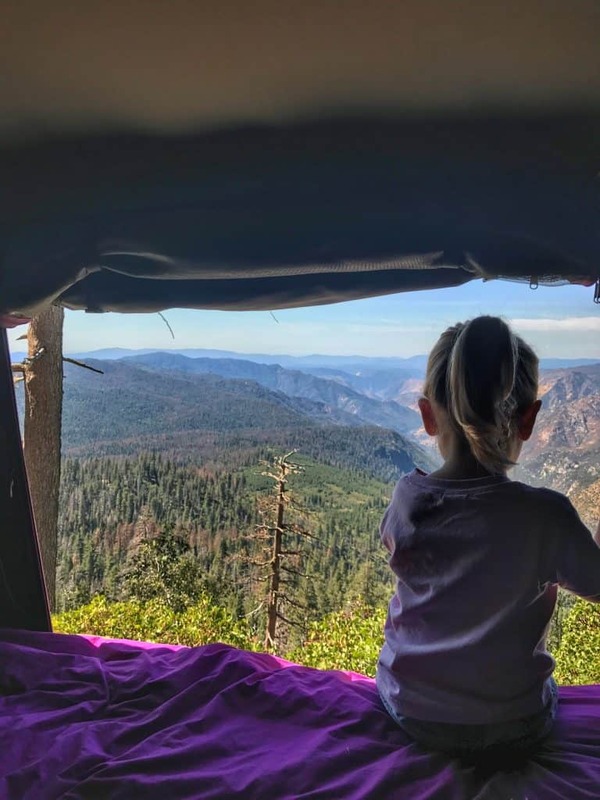 Having spent eight days weaving from the coast, across to Yosemite and back to Southern California, this is our JUCY camper van review. We rented the Jucy Trailblazer as it sleeps four people. We had a penthouse tent on the roof and the backseat folded into another double bed. As we had two young kids, we split, one parent and kid upstairs and the same downstairs. That’s not an unusual situation for us, even when we are at home! I seriously don’t know how to make time to make a second kid, no pun intended! All joking aside the two double beds were comfortable and Jucy rent out all the bedding. Everything from pillows to sheet and duvets to warm blankets. It makes it so much easier to have all those things rather than packing them. The penthouse is really quick to set up. It’s literally a jack type handle that winds around a few times and POP, the penthouse is up! There is a ladder that is stored inside and can be used to get up and down. Needless to say it’s a novelty for kids and the toddler climbed up and down it hundreds of times over the eight days. My hubby was a little worried about all the blankets taking up too much space and returned some before we departed. On reflection it was not the best idea. 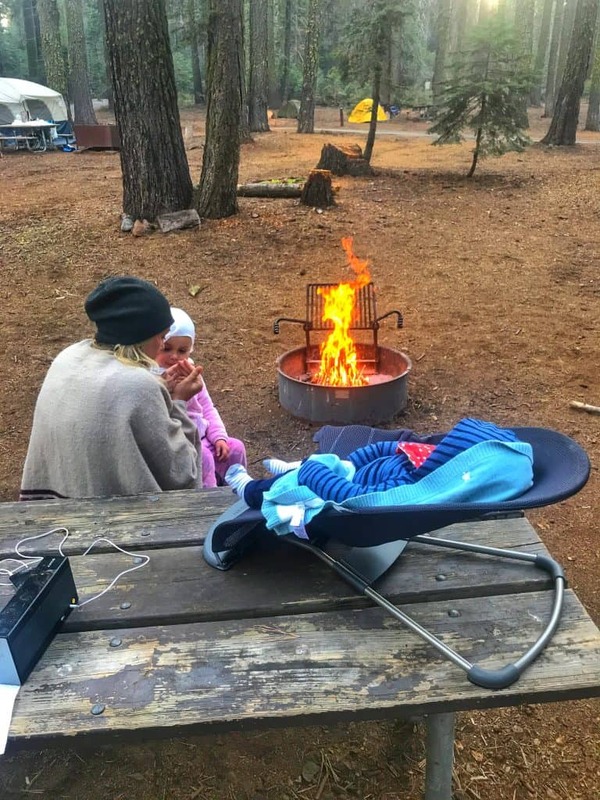 We were so unprepared for the cold nights in Yosemite. Plan ahead and make sure to take plenty of layers if you are visiting such places overnight or in the colder months. I loved all the little quirks, like the handy role up blinds on each of the windows. It made it nice and dark and provided some privacy when we were chilling out. It also had little night lights and USB charging ports. All of these little things are so well thought out. Especially the multiple cup holders for the all important coffee in the morning or wine in the evening! I can’t tell you how many people stopped us to ask about our Jucy camper van. I had everything from, do you sell juice? to those that were amazed at the compact setup. 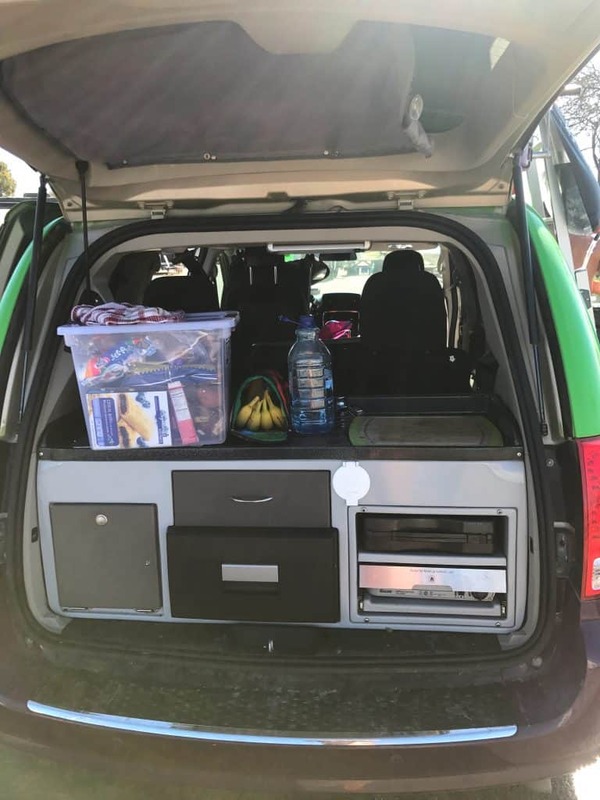 When we opened the boot people couldn’t believe there was a fully functioning kitchen. We had a sink, fridge (and it was always the right temperature), all of the crockery and utensils needed to cook up a storm. We filled up our tank of water each day and it was enough to wash dishes and our hands. There were two camp hobs so we could make warm meals. It was perfect! It was so handy that Jucy provide basic shopping lists of all the essentials. We got washing up liquid and all that jazz before setting off. We knew we were going to be off the grid for some time so we bought a large plastic box to store all our non-perishables. I loved the fact one of the gas hobs could be completely removed from the kitchen. Especially if we were cooking something smelly so it wasn’t all in the van. The back seat was multi-functional, not only did it turn into a double bed, but it also worked as a bench with four seats. It was so handy when we were out all day for lunch. It packs away neatly and the table had another function which I will come onto in a minute. The one thing I loved about being in the Jucy van was we never had to be anywhere! It was such an amazing feeling of freedom. Kids needed a nap, no problem, we would pop the penthouse in a quiet spot and they would bed down. The penthouse was by far my favourite part. I loved the elevated view and of course no one could block your views as they walk past. The kids loved it just as much as I did. We spent hours playing, reading books and cuddling! We had our two kids car seats set up in the back. It was in honesty a little bit of a faff as we needed to take them out each night and load them into the unused space upfront. Car seats are always a pain, but equally, a necessity. I loved that there was plenty of room for me to sit between them on long car journeys. It made it so much easier for us. Overall we found the RV to be quite economical on gas. My husband found the vehicle heavy so it was often slow to break. Make sure to be careful of that when you set off for the first time. 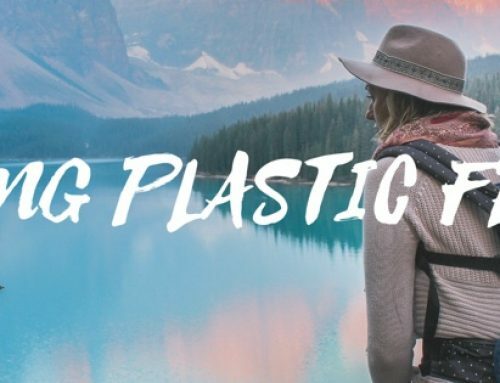 Jucy provide packing lists and give some excellent tips on what to bring. Although we knew a suitcase wasn’t going to work, we still needed to bring one. Only because we are travelling for a year so we couldn’t get away with soft luggage for such a long time. 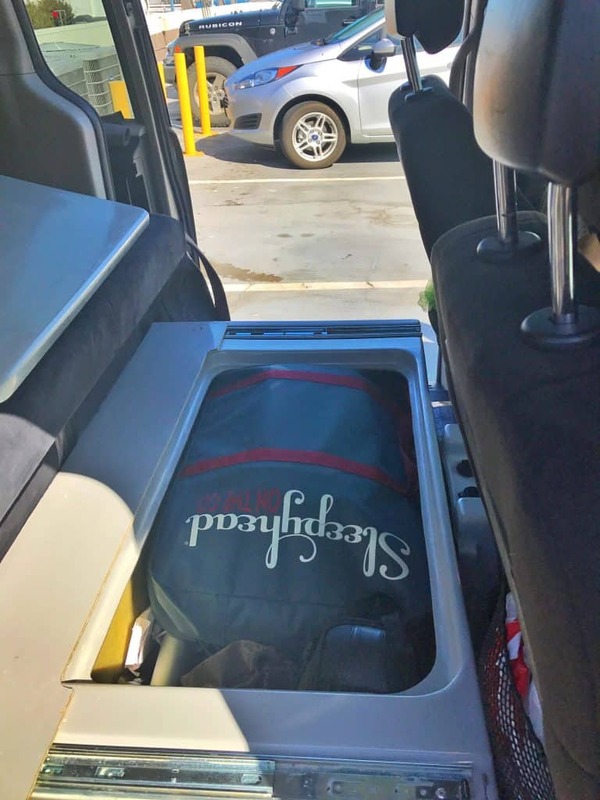 If you can, try to use a medium sized backpack or rucksack as it will fit nicely into the storage under the bench in the backseat. We unpacked everything into it and there was so much room. We fitted all four of our clothes (for a year) into it. We picked up our Jucy camper van close to Oakland Airport, San Francisco, and dropped it off in LA. The distance between the two was an ideal starting and finishing point on an eight day adventure. Of course, its always possible to take things slower and see more places. After we picked up in San Francisco, we drove across to Yosemite where we spent a number of days. We came back to the coast at Monterey. Our intentions were to drive along the coast through Big Sur, onto Santa Barbara and finally LA. However the Big Sur road was closed due a landslide. This certainly made our drive longer. Here is where we stayed and for how long. San Francisco – shopping, stocking up, and getting to grips with our new pad for the upcoming week. Outskirts of Yosemite – we stayed at Yosemite Pines RV campground. It’s around 30 minutes from the entry to Yosemite and had bathrooms, an onsite petting farm, a shop and WIFI. We drove into Yosemite Valley and spent our time doing some trails and checking out Yosemite falls. We stayed at the Crane Flat campground inside the park. It was very basic and had only a bathroom and a fire pit at each of the sites. We drove up to glacier point in Yosemite. The views were outstanding. We left early morning and pulled in half way. We ate breakfast with the best view. I warmed some water on the stove and washed myself and the kids. We drove to Monterey and stayed at the Dunes RV park. It was expensive to stay but I really needed to have wifi to do some work. It was right next to an incredible beach. The RV park was unlike those near Yosemite, it was more like the parking lot style. We were supposed to drive to Big Sur but the road was closed. Instead we visited the beautiful town of Carmel and checked out the beach . We also visited the aquarium in Monterey. We finished the evening off on Pebble Beach, part of the famous 17 mile drive for sunset. We drove to Santa Barbara, we would have loved to explore more of the coast but the landslide ruined it! We were really keen to stay near the ocean and luckily found Capinteria State Beachfront Campground. I understand from the locals it gets booked up months in advance but they had a last minute cancellation. The little town of Capinteria is super cute with little markets, restaurant and cafes. Our camp spot was right next to the ocean. It was brilliant. We watched so many pods of dolphins swim by from the moment we arrived until we left. Such an awesome experience. It was a sad day. 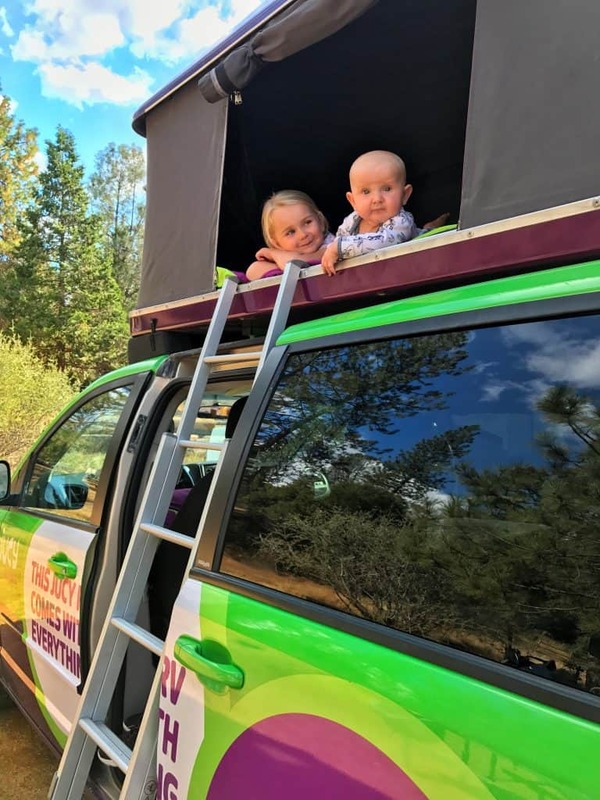 We became totally attached to the JUCY camper van, we really didn’t want to return it but we had to! We returned it in LA before heading to a hotel and preparing for our departure. Jucy have several itineraries on their website that are worth checking out. 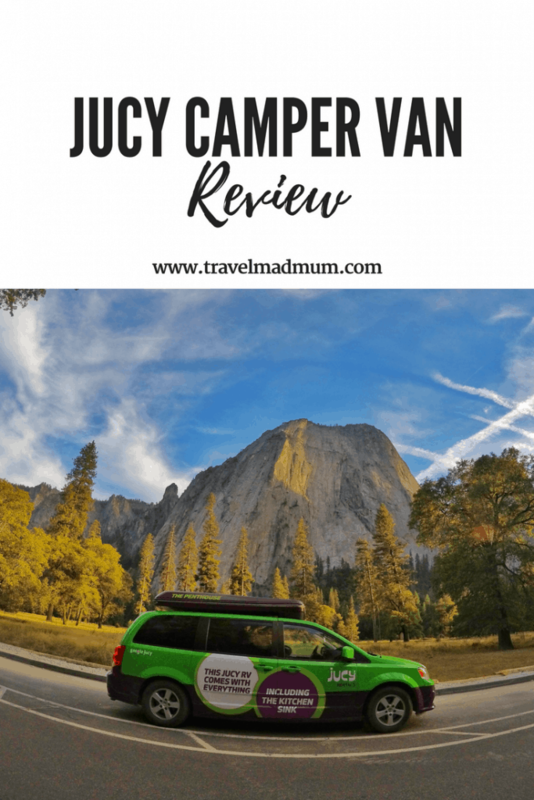 Have you found the JUCY CAMPER VAN REVIEW helpful? Leave a comment, I love to hear from you. Disclaimer: JUCY USA provided a complimentary rental with basic insurance and 500 miles. Gas, camp site admission and all other extras were not included. In return we have written a review. As always, all views expressed our entirely our own. Thank you for taking the time to read our JUCY Camper van review. Wow! What a great way to roadtrip in the States! I’m loving the views from your penthouse suite ? 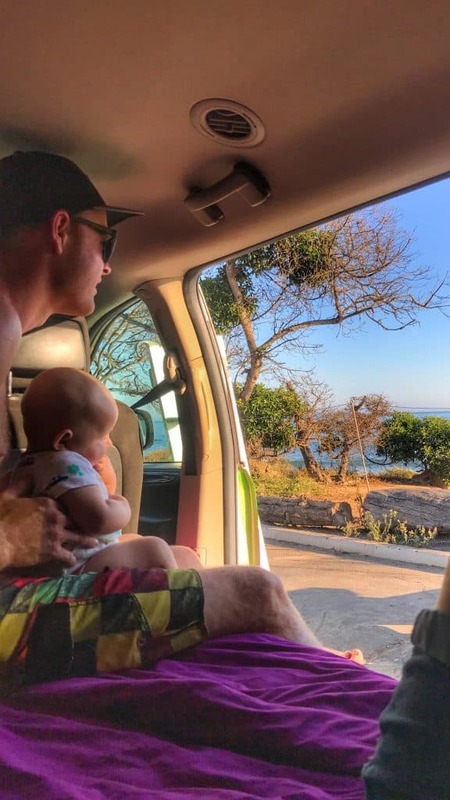 Wow, this sounds incredible – the whole trip and the camper van. 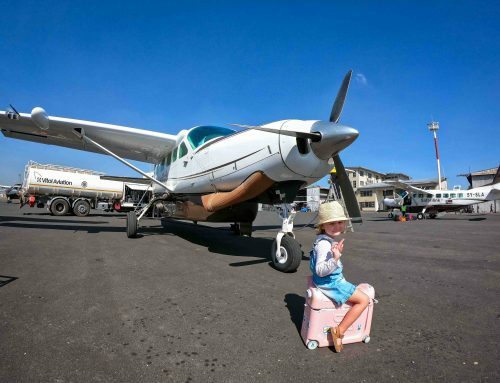 I have to admit that you had me at “penthouse” – I’ve never heard of such an impressive vehicle – but I also loved the reminders of our trip to California long ago, when we loved Carmel, Monterrey and especially Santa Barbara. Would love to go back! This looks absolutely amazing ! And your pictures are beautiful. You know how much we love a roadtrip, I am adding this to my bucket list for sure!! That sounds like so much fun, I had never even heard of Jucy before! We visit CA lots and I can see how this would be so convenient! This looks epic! I love how compact and well laid out it is. They have really thought of everything! I’m looking out for you as in SFO now! We’re just heading to Heathrow to catch a flight to San Francisco and picking up our Jucy van! 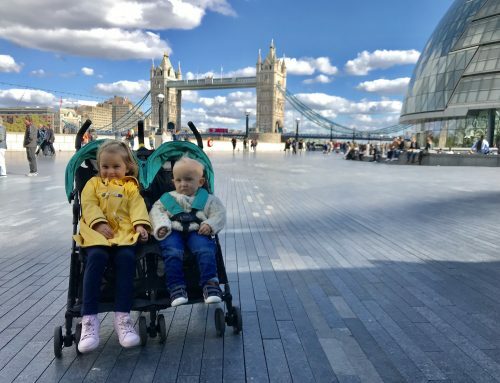 Really interested to read your blog and see how it all worked with two little ones! 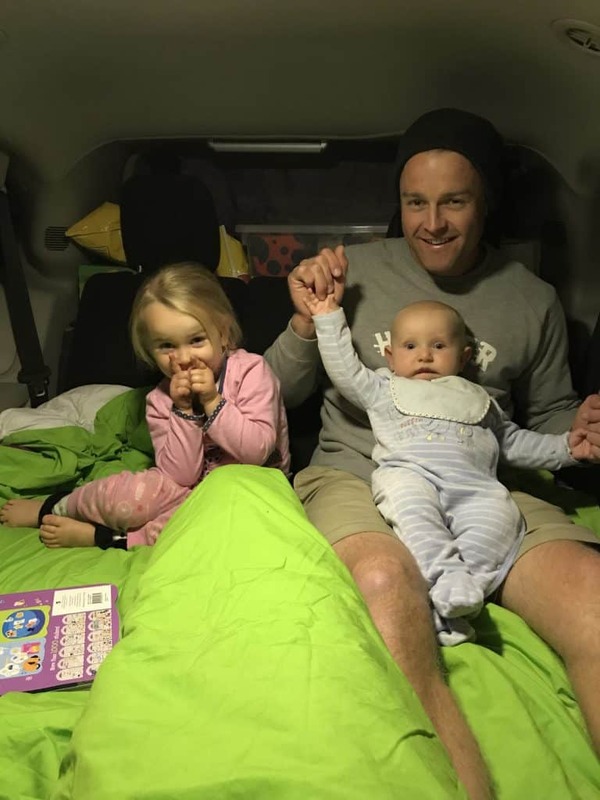 We have a 19 month old and it’ll be our first time camping with her, really pleased to see how baby friendly the Jucy vans are! 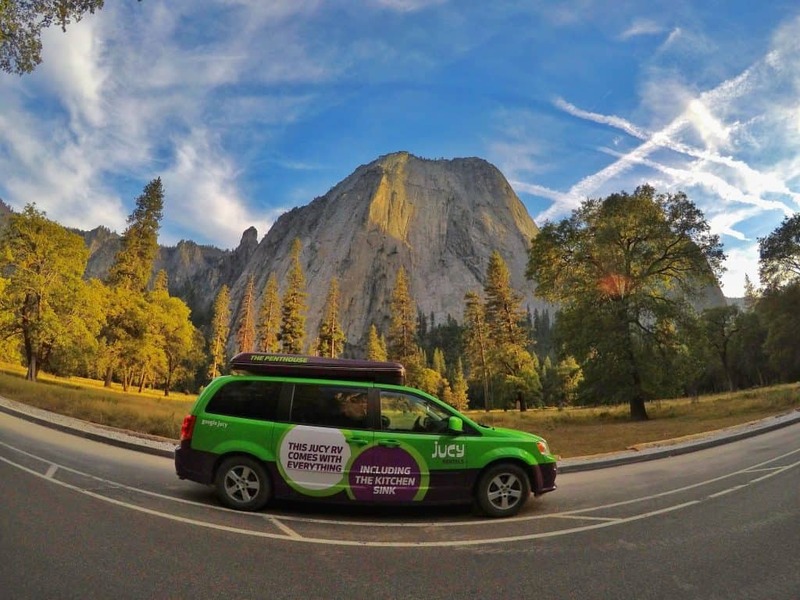 We are doing a similar route to you, with stops in Monterey and Carpinteria! Your trip sounded fantastic, I can’t wait to arrive in California and start exploring! 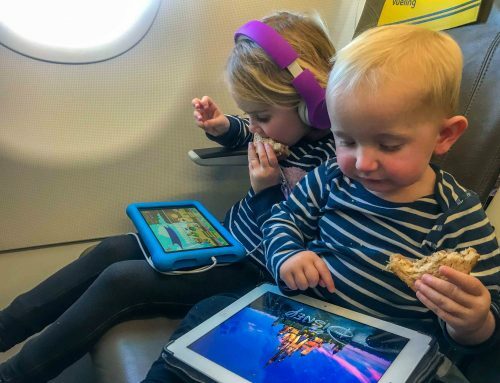 Hi Karen, we are travelling to USA where we plan a road trip as well with our little one. We are going to have a pram so I’m wondering did you have one as well? Does it fit there? Sounds great! 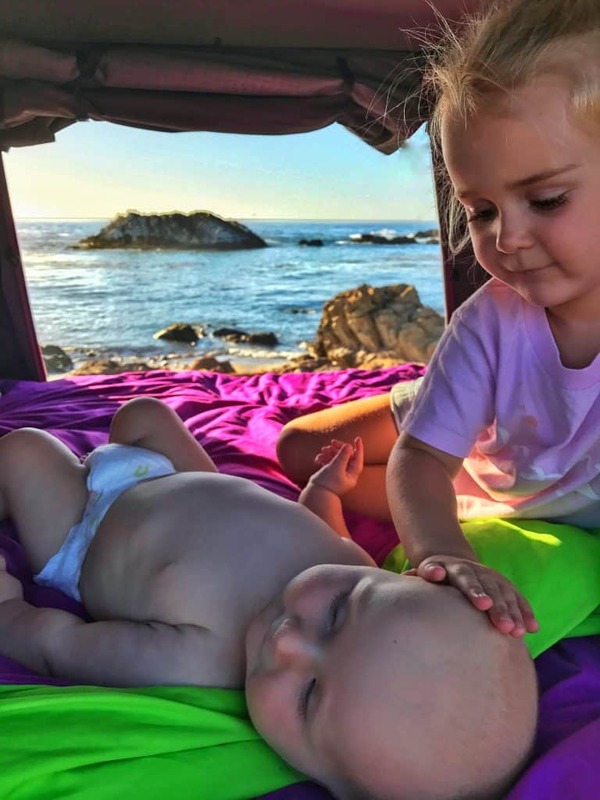 We are dreaming of a West coast North America road trip with our littlies. This camper sounds perfect. What time of year were you there?